suggested that a "little red button" be required on TVs so that a child could push the button to find out how a show is rated. Democratic Sen. Mark Pryor of Arkansas agreed that a red button might help since parents often have difficulties figuring out which shows are appropriate for their children to watch. Well, I have some good news for the Senators: There are already quite a few little buttons on every remote control made today, and at least one of those buttons can pull up an on-screen guide to get more program info! (Another of them can turn the TV off!) Moreover, the ratings for just about every program already appear at the beginning of each show, and sometimes in between. And you can find out plenty more online about every TV show under the sun if you care to look. So, I'm not sure what that fuss is all about, and we certainly don't need to mandate "little red buttons" on every TV set when program information can be found in so many other ways. What is more troubling about all the hand-wringing taking place at the hearing, as well as the talk of reopening the Children's Television Act of 1990 to potentially impose more content mandates on video programmers and distributors, is that: (1) there doesn't seem to be much appreciation for just how much wonderful children's programming is out there today compared to the past, and (2) there doesn't seem to be much recognition of the serious First Amendment issues at stake when government gets involved in the messy business of regulating video programming. On that first point, let me just reiterate what I have found after conducting an exhaustive survey of the market for children's programming in my ongoing PFF special report, Parental Controls & Online Child Protection: A Survey of Tools & Methods. I found that the overall market for family and children's programming options continues to expand quite rapidly. 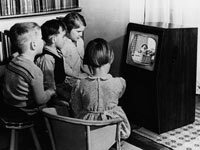 Thirty years ago, families had a limited number of children's television programming options at their disposal on broadcast TV. Today, by contrast, there exists a broad and growing diversity of children's television options from which families can choose. The list below highlights just some of the more popular family- or child-oriented networks available on cable, telco, and satellite television today. And this list continues to grow rapidly. Importantly, this list does not include the growing universe of religious / spiritual television networks. Nor does it include the many family or educational programs that traditional TV broadcasters offer. Finally, the list does not include the massive market for interactive computer software or websites for children. All of this begs the obvious question: What more is it that policymakers want? More offerings are always welcome, of course. But, on a personal note, as the parents of two young kids (ages 5 and 7), my wife and I regularly struggle to sort through all the wonderful video programming options at our disposal. We often find ourselves swimming through an ocean of choices available from our local broadcasters and multichannel video provider. Moreover, our kids are spending an increasing amount of time watching snippets of video via kid-oriented online search portals like KidZui and Glubble. Such online walled gardens offer a safe place for parents to find terrific online content for their kids. there has never been a time in our nation's history when parents have had more tools and methods at their disposal to help them decide what constitutes acceptable media content in their homes and in the lives of their children. [...] parents now have [many tools and techniques] at their disposal to better control media content and raise their children as they see fit. That is not to say that media and communications technologies don't continue to play a major role in our society and culture. But... parents have been empowered with tools, controls, strategies, and information, that can help them devise and then enforce a media plan for their families that is in line with their own values. So, again, it must be asked: What is the problem here? the malleability of children--how easy it is to mold their minds and to influence them--counts against and not in favor of centralized governmental controls. One of the arguments that you will often find is, yes, it's all very well to believe in free speech between consenting adults but we're talking about kids here and their minds are like plastic and they are being molded and shaped and, therefore, we have greater power to protect them. Therefore, you should keep your hands off them because they are so easy to shape. No, no, no. The argument is not that kids are malleable and therefore, Big Brother should be empowered. The argument is that kids are malleable and, therefore, families should be empowered. Parental authority should be at the center of decision making. Indeed. And, as already noted, parents have more tools and strategies to exercise that authority than ever before, as well as more programming options to choose from. Policymakers should be celebrating these modern media marketplace developments, not bemoaning them. We are blessed to be living in the Golden Age of children's video programming.